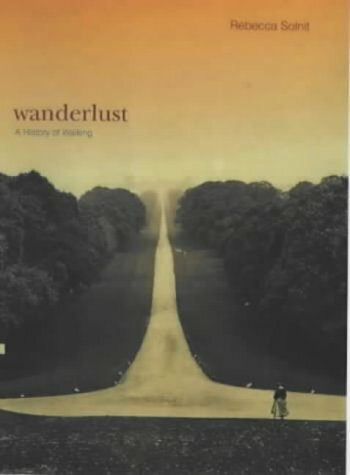 Rebecca Solnit, Wanderlust: A History of Walking (New York: Penguin Books, 2000), 326 pages, notes and some photographs. 13 hours and 58 minutes on Audible. The title drew my attention. I’m a wanderlust and walker so this book was a delight. I don’t really know how to categorize it. The book is a kaleidoscope of many parts: anthropology, science, history, adventure, exploration, philosophy and poetry. There is a little of something for everyone, which may make the book overwhelming for some. But I found it a delight. Solnit begins by taking us on a walk near her home in the San Francisco Bay area. Soon, she is exploring philosophers who think while walking and then she’s off discussing how we began to walk and how it helps us see the world. She discusses the idea of the garden and the British walking tradition, especially as it was experienced by poets like Wadsworth and Keats. There are pages devoted to private property and the battles, especially in the UK, over the battle of the right to walk across private property. As she expands walking, she focuses on the French Revolution and the role mass “walking” has played in protests. From France, she explores walking in the Civil Rights movement to the Tiananmen Square revolts in China in the late 1980s. I was surprised at the beginning of chapter 10 (on Walking Clubs and Land Wars). She was at the breakfast table of Valarie and Michael Cohen’s cabin in June Lake, California. I’ve been there! I knew Michael from when he taught at Southern Utah University and one summer, when I was completing the John Muir Trail, Michael joined me for the Yosemite section. Michael wrote a biography of John Muir, which allows her to discuss Muir role in American walking. Before going west and establishing the Sierra Club (of which one of their missions was to take people walking in the mountains), Muir took a 1,000 mile walk from the Midwest to the Gulf of Mexico (he even travelled through Savannah and camped out in Bonaventure Cemetery. In later chapters she discusses how the city began to destroy the need for walking, but then has provided a haven for walkers in places like Central Park. She also discovers the “underside” of walking such as women “walking the streets” to find clients as prostitution and how, in centuries past, women alone on the streets were assumed to be of that profession. She even discusses walking on a treadmill, which doesn’t allow you to see much of the world but does allow for needed exercise. I must confess to having listened too much of this book while in the gym. While I listened to this book instead of reading it, I was so enamored with the quotes and insights that I picked up a hard copy for my library. When listening to the book, the reader starts out with quote after quote, which goes on for several minutes. It seemed weird to have so many quotes. At the beginning of each major section of the book, the reader goes on for some time with more quotes. This didn’t make sense until I purchased the book and realized that running along the bottom of the pages of the book are the quotes followed by the name of the author of the quote. The person reading the book would read these quotes for each section, then return and read the text. It was the only way to do this to make any sense. Otherwise, the reader would have only hit part of a quote that appeared on each page. While the quotes at the bottom of the page gave an artistic flavor to the book, I am not sure they added to the story. If you’re a wanderlust, you might find the book enjoyable. But I am afraid that many readers may be overwhelmed in the variety of worlds that Solnit explores. That is both a strength and weakness of her book. The title intrigues me, too. I love to take walks and believe that it can help with stress and can inspire us. Our thoughts can just go while we walk. Our library has ‘talking books’, I’ve never tried them … perhaps I will. Excellent review, I read Wanderlust several years ago now and enjoyed it, though I agree with you about the footnotes. Definitely one I want to add to my TBR. Thanks. One of my longterm goals is to go back to England and walk the Cotswold Way. I’m sure this will be additional inspiration. That sounds like an interesting book. Thanks for the great review. That sounds intriguing the way the author wrote about the many aspects of walking and switched from one angle to the next. It’s always fun to be reading a book and to come upon a place or person, etc. that you have personal knowledge of or experience with. I enjoy walking, too. I do a lot of thinking while I walk. I’ll appreciate these books when folks like you post about them. It would be overwhelming for me, but sounds like a treat for the wanderlusts of the world. Be well, and happy weekend to you, Sage. I have wanderlust, too, but I’m broke so it’s hard to wander vary far from home. This sounds like a book that covers a lot of topics. I might have to pick up a copy if I come across one. Great review!